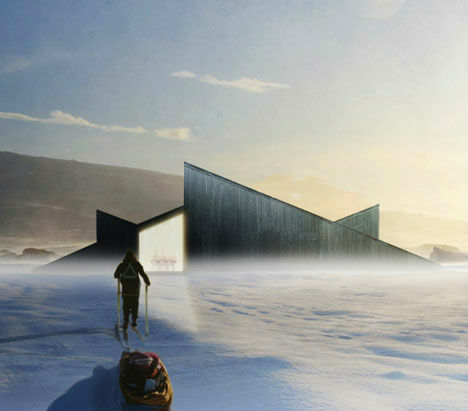 In a remote, restricted natural area of Norway that can only be reached by skis, a certain predilection for winter sports is pretty much a necessity – but this cabin design, by Fantastic Norway, takes you one step further with a slanted roof that doubles as a ski slope. Building restrictions put a limit on the building material, the roof angle and the height of the cabin in a desire to preserve the look of classic mountain lodges in the area. 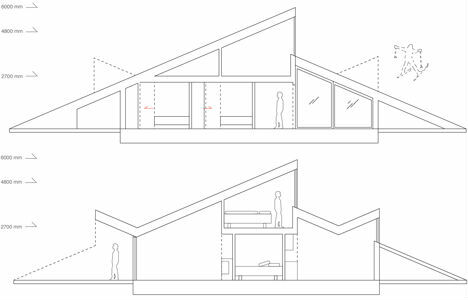 But the client wanted a home that they could actually use as a platform for skiing, sled riding and winter picnicking. The result is a home that just barely peeks out of the mountainside, blending into the landscape, allowing wind and snow to blow and fall around it just as if it were made of earth or rock. The home contains two bedrooms on the ground floor and a third on the second floor. 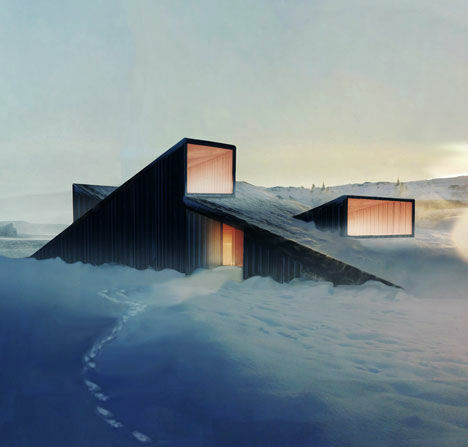 Fantastic Norway is known for creating modern, somewhat eerie concepts that are entirely fitting for their remote, icy environments. 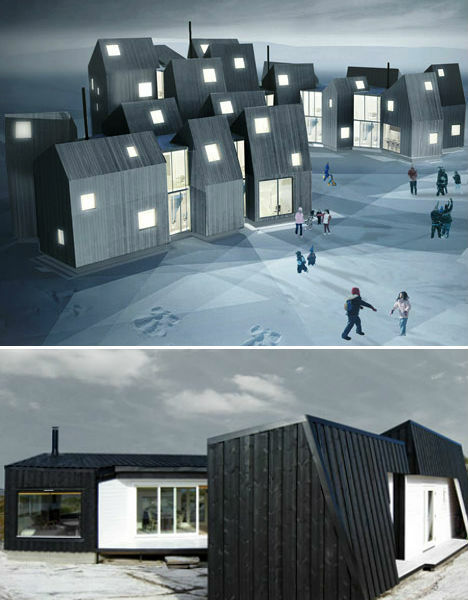 Two similar projects include House of Families (top), a series of interconnected homes for disadvantaged women and children in Nuuk, Greenland, and a spare, angular coastal cabin situated on a rocky hill.